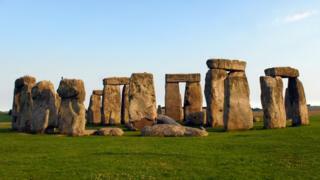 Hollywood producer Steven Spielberg must wait for archaeological checks to be carried out before filming near Stonehenge. The Sam Mendes-directed war film 1917 is due to start filming on Salisbury Plain in April. The production company wants to build a mock French farmhouse and replica trenches at Shrewton, a village six miles (9km) west of the historic site. Wiltshire Council said an assessment was needed before filming can begin. Planning documents show the filmmakers want to use the site for five weeks from the end of April, with activity on the site while the sets are erected and removed. The county's assistant archaeologist, Martin Brown, has recommended an archaeological assessment and geophysical survey be carried out first to allow filmmakers to avoid any "particularly significant remains". Wiltshire Archaeological and Natural History Society (WANHS) also called for surveys to be completed to identify any "undesignated historic and archaeologically significant features". Wiltshire Museum, in nearby Devizes, said it "welcomed" the prospect of a "major film" being made, as long as the "archaeology and environment" was protected. Its director David Dawson said: "All we're worried about is the archaeology. Having a film in Wiltshire is great." The council said it was important to carry out the assessment to avoid any "unnecessary damage" to the site and a decision was expected shortly. "This check also helps to avoid those preparing the film set from encountering any surprises that may delay the project," a spokesman added.